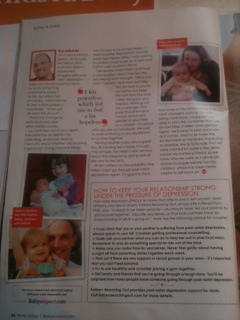 My husband and I are in this month’s (September) Prima Baby magazine talking about dealing with post-natal depression. It’s an amazing opportunity for us to share how I came through 2 and half years of depression after the birth of our first daughter. 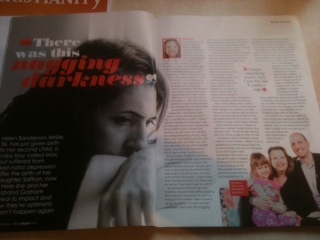 Unfortunately the article isn’t available online but you can buy the magazine in the shops so feel free to check it out! Previous Post: WE’RE NUMBER ONE!! Next Post: Has anyone seen my stomach muscles?